Hear Rabbi David Zaslow sing this beautiful song by Rabbi Shlomo Carlebach. To listen to more of Rabbi David Zaslow’s music—go to his website: Rabbi David Zaslow. We offer a selection of essays written by Rabbi David in the ‘From Our Rabbi’s Desk’ section of our web site. Rabbi David Zaslow was born in Brooklyn, New York in 1947. He was ordained in 1995 by Rabbi Zalman Schachter-Shalomi under the supervision and mentorship of Rabbi Aryeh Hirschfeld. In 2003 he completed his term as a Spiritual Advisor to ALEPH, the umbrella organization of the Jewish Renewal movement. Before his ordination he served as a rabbinic intern for the Jewish communities Crescent City, CA, Bend, OR, and Redding, CA. During his years as a poet-in-the-schools for the southern Oregon region, David Zaslow wrote and edited more than a dozen of books of poetry as well as two albums of children’s music for publishers like Good Apple; Harcourt Brace Javanovich; and Scott Foresman. In the late 1970s David, along with partner Steve Sacks, co-created what became the Peter Britt Jazz Festival by bringing jazz legends like Dave Brubeck, Count Basie, Dizzie Gillespie, Woodie Herman, and dozens of other jazz greats to southern Oregon for the first time. Along with poet Lawson Inada, in 1988 he was awarded an American Book Award for educational materials for a project he co-produced featuring Steve Allen and Jayne Meadows to music composed by Patti McCoy. Rabbi David also leads Shabbaton weekends and retreats for Jewish Renewal communities throughout the United States. Plus, with the publication of his book “Jesus: First-Century Rabbi” he is leading interfaith seminars and workshops for churches and synagogues. 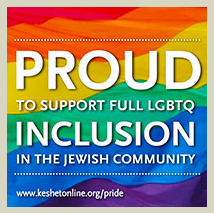 Rabbi David can be reached by phone at 541-488-0772. Or contact him here Rabbi David Contact. 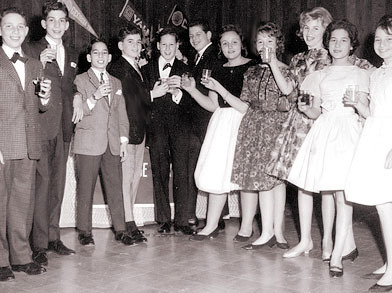 at his bar mitzvah party Saturday evening, December 24, 1960. Some of us are reincarnated several times within a single lifetime.